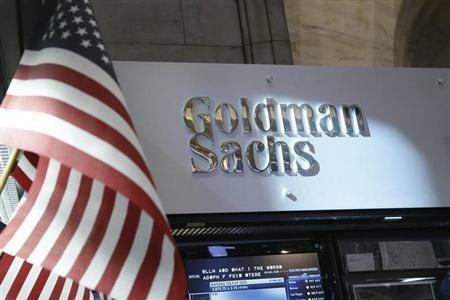 BRUSSELS (Reuters) - Investment bank Goldman Sachs, the world's top cablemaker Prysmian, Nexans and eight cable firms were fined a total of 302 million euros ($416 million) by EU antitrust regulators on Wednesday for running a cartel. The power cable cartel ran for almost 10 years from 1999, with the companies sharing markets and allocating customers between themselves, the EU antitrust authority said. Prysmian received the biggest penalty at 104.6 million euros, which included a joint fine of 37.3 million euros with Goldman Sachs. The bank acquired the Italian company via one of its private equity funds in 2005 but has since sold its holding. Still, shares in Prymian rose more than 3 percent because the firm had set aside 199 million euros to pay the fine. The European Commission said other cartel members included Japanese cable firms Exsym Corporation, J-Power Systems Corporation and Viscas Corporation, Korean peer LS Cable & System and General Cable Corp via its subsidiary Silec. "Part of this plan was to allocate important high voltage power cable projects in the European Economic Area (EEA), including large infrastructure and renewable energy projects such as offshore wind farms," the Commission said. Danish company NKT Holding, which had a 3.9 million euro fine, said it would challenge the decision in court. "We do not believe that there is evidence in the Commission's allegations. We have not in any way been involved in any form of cartels. Therefore, we disagree with the decision and we will appeal," NKT Chief Executive Michael Lyng told Reuters. Other penalized companies were South Korean firm Taihan Electric Wire, Mitsubishi Cable Industries, Sumitomo Electric Industries and Hitachi Metals Ltd. Sumitomo and Hitachi were J-Power Systems' previous owners. Authorities in Japan, South Korea and Australia have already levied million-dollar fines against cable companies for anti-competitive practices, and the United States Department of Justice is also investigating the industry.